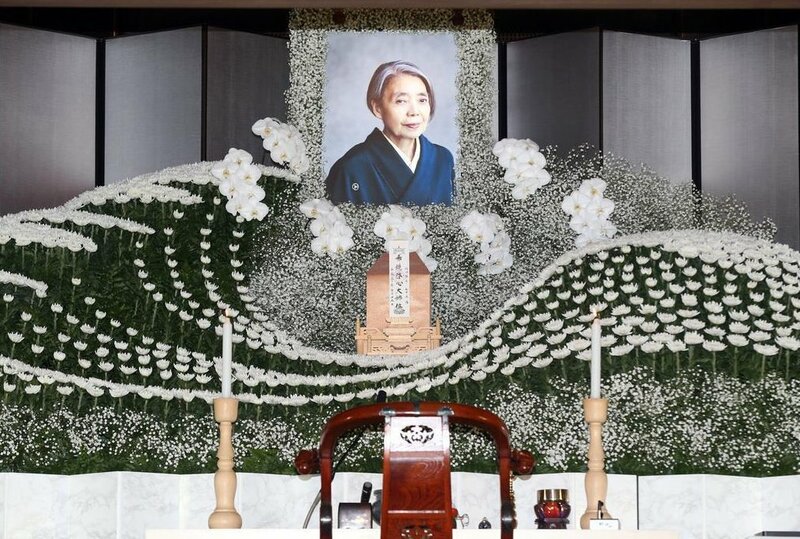 Last weekend, at the farewell ceremony for the late actress Kirin Kiki, a large display of white flowers, designed to look like a wave, greeted the constant flow of family members, fans and celebrities that had come to pay their respects, and to say farewell to the 75-year old who had passed away from cancer on September 15. 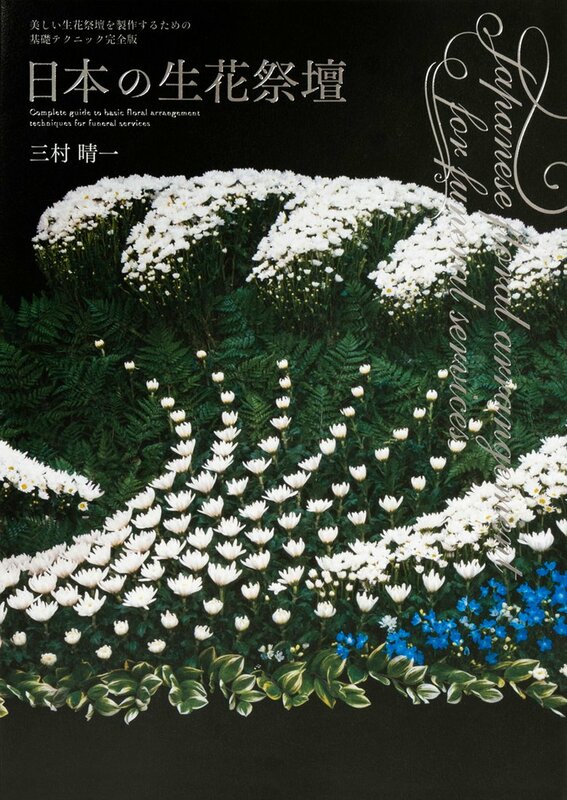 The white wave of flowers was comprised of roughly 1200 chrysanthemums, orchids, and gypsophila (an ornamental flower known as baby’s-breath in the West). Relatively speaking, the wave of flowers at Kiki’s farewell ceremony was actually quite modest, in accordance with her wishes for a simple gathering. Attempt to search the Internet for 生花祭壇 (seikasaidan, which literally means fresh flower altar) and you’ll see any number of extravagant designs. The wave motif itself is actually a common one in Japan, alongside the mountain. Both are typically used for men because they symbolize strength, but the rules of the old guard are starting to come down. 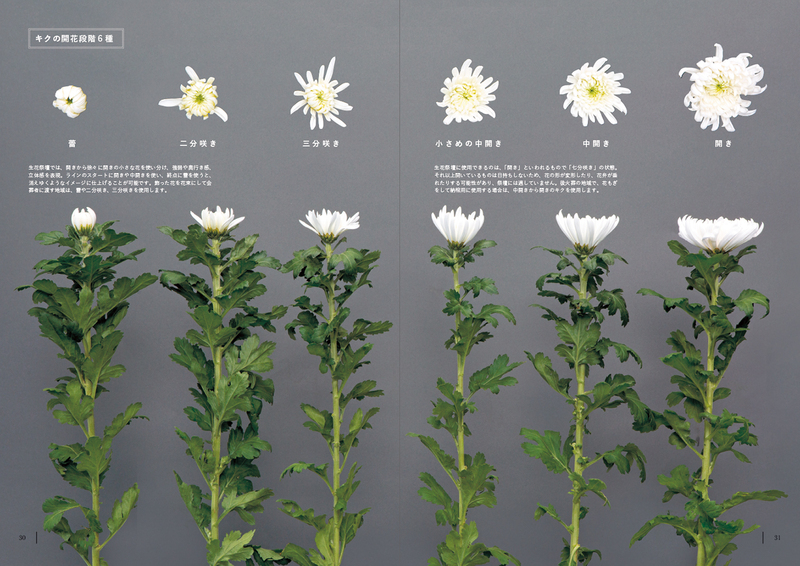 Even chrysanthemums, which used to be the only accepted flower, are now joined by other white flowers, sometimes even colorful ones. But the alter of plentiful flowers is relatively recent, having originated in Kyoto just 30 years ago. This would make sense though because the technology and logistics involved in procuring large batches of fresh flowers is also relatively recent. A lot of money is spent on funeral flowers in Japan. In fact, in 2006 Beauty Kadan became the first publicly traded Japanese company specializing in funeral flowers when it listed itself on the Mother’s section of the Tokyo Stock Exchange. Youkaen, a general flower company that entered the funeral flower business in 1972 now says that roughly 75% of their 50 billion yen in sales (roughly $44 mm USD) comes from their funeral flower segment. Unlike the human body which is composed of only 18% carbon, Agelio Batle‘s latest project is produced from 100% of the semimetal material. The work, titled Ash Dancer, is a life-size skeleton that acts like a very large pencil. When placed on a custom made high-frequency vibrating table, the bones of the skeleton rub marks onto the surface, slowly creating an outline of its own form. The more the work rubs against the table, the more of itself is left behind, slowly transforming the graphite from sculpture to abstract drawings which Batle refers to as Ash Dances. The typical depiction of a rabbit, especially when used in Medieval art and literature, is an image of purity and innocence—a harmless puff of cuddly cuteness. Another common association with the rabbit is that of fertility, a sensical comparison when one is aware of the speed at which the species copulates. In some medieval illuminated manuscripts however, the illustration of a rabbit turns from harmless to violent, with several examples showcasing the formerly innocent creature in the act of decapitation and other sword-wielding wrongdoings. A way to analyze these drolleries, or medieval margin illustrations, is to think about the violent role reversals as humorous symbolism. Because these animals were so low on the totem pole of fear, it was quite amusing to the medieval illustrator to draw them enacting a revenge—silly animals on the opposite side of the slaughtering. This was also a way for the artist to show the stupidity of the human who was the object of the rabbits’ anger, one who was foolish enough to be bludgeoned by bunny. This immersive site-specific installation by artist Jonathan Latiano (previously) depicts the fate of China’s famous Baji dolphins rendered in driftwood flying through a gallery at the Baltimore Museum of Art. To create the immersive installation Latiano collected bleached and mangled wood from local rivers which he used to form a procession of skeletons. 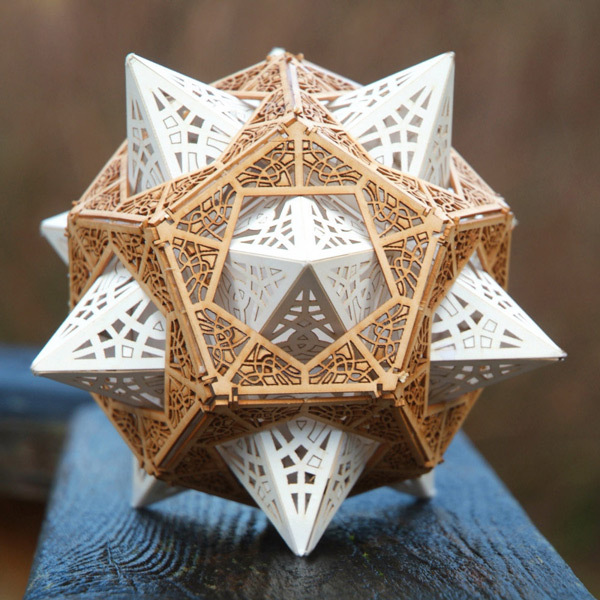 The bony structures materialize from a stack of logs in one corner before gradually dissolving back into component pieces in the other. Freshwater Baji dolphins (dubbed the “Goddess of the Yangtze”) were once a thriving part of the Yangtze River ecosystem in China, but are now largely assumed to be extinct. The last known member of the species died in captivity back in 2002. The pieces that I create contrast abstracted human intuition with the reality of our natural environment. I strive to emphasize the areas that exist in‐between the boundaries of defined regions. My work, in many ways, is my own personal attempt to understand my place in the physical universe. I find the poeticism and concepts of the natural universe simultaneously fascinating, beautiful and unsettling. Many of the areas and theories of science that appeal to me, particularly ones that deal with vast expanses of space and time, are so complex that the only way I can truly wrap my head around them is to abstract them. It is through my artwork that I interpret, contemplate and fine-tune these scientific theories and notions on both a universal and personal level. Flight of the Baji was on view last year at the Baltimore Museum of Art, a culmination of Latiano winning the 2013 Baker Artist Award. You can also catch an interview with him over on I Lobo You. Merry Coor produces ethereal designs from cremated remains within custom glass beads. Coor crafts each bead by hand, first melting glass into a round bead, then spiraling the design out of ashes on top, and finally sealing the design with an outer layer of clear glass. For each bead she not only requests a 1/2 teaspoon of ashes, but also a picture, letter, or story of the deceased so she can develop a personal connection while forming the piece of jewelry. What looks like a traditional statue of Buddha dating back to the 11th or 12th century was recently revealed to be quite a bit more. A CT scan and endoscopy carried out by the Netherlands-based Drents Museum at the Meander Medical Centre in Amersfoort, showed the ancient reliquary fully encases the mummified remains of a Buddhist master known as Liuquan of the Chinese Meditation School. While it was known beforehand the remains of a person were inside, another startling discovery was made during the scan: where the organs had been removed prior to mummification, researches discovered rolls of paper scraps covered in Chinese writing. In 1578 word spread of the discovery in Rome of a network of underground tombs containing the remains of thousands of early Christian martyrs. Many skeletons of these supposed saints were soon removed from their resting place and sent to Catholic churches in Europe to replace holy relics that were destroyed during the Protestant Reformation. Once in place the skeletons were then carefully reassembled and enshrined in costumes, wigs, jewels, crowns, gold lace, and armor as a physical reminder of the heavenly treasures that awaited in the afterlife.